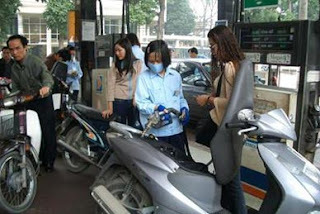 HA NOI — After several months of trying to stabilise petrol prices the Ministry of Finance yesterday announced an unexpected rise of VND4,500 per litre, the highest increase so far. This is the second increase in petrol prices this year. 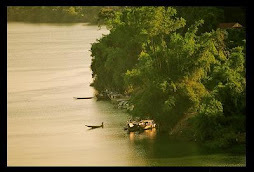 The first was on February 25, which saw the price rise from VND13,000 to VND14,500. During the press conference yesterday, Minister of Finance Vu Van Ninh announced that a jump of 31 per cent in the price of A92 gasoline, setting a new record of VND19,000 per litre. The ministry also decided to increase the prices of diesel and kerosene by VND2,000 and VND6,100 per litre to VND15,950 and VND20,000 per litre, respectively. "The increase is necessary as the prices of oil worldwide have been rising since the beginning of the year, putting a heavier burden on the State’s budget as well as on local petrol businesses," said Ninh. In the first six months of the year, domestic oil and petrol enterprises suffered a loss of VND14.5 trillion (US$878ˆmillion) despite the commodities’ import tax of 0 per cent. The world oil price in the second half of the year would be hard to maintain at average levels of $139.7 per barrel in the first 17 days of July. It was predicted to reach $145 per barrel in the third quarter of the year and $155 per barrel in the fourth quarter. If domestic oil and petrol prices were kept at the current level in the last six months of the year, petrol businesses would suffer a loss between VND67 trillion ($4 billion) to VND72 trillion ($4.4 billion), and the State budget would face many difficulties because projected revenue from crude oil was only VND40 trillion ($2.4 billion), not enough to compensate for the loss, the minister said. If partial adjustments were not made to the price this year, it would place heavy pressures on the management of oil and petrol price next year, which would have a domino effect on management of other commodities’ prices. Furthermore, it would not encourage oil and petrol users to save on the energy source. Oil smuggling through the border is still proving difficult to control because the current price in Viet Nam is still VND7,000-8,000 lower than that in Cambodia, making it necessary to adjust prices. "As the country integrates itself into the world economy, we have to manage oil and petrol prices in line with the market mechanism. We do not have the ability to separate the domestic price system from that of the world market as we still have to import 100 per cent of oil and petroleum products," Ninh said. Minister Ninh admitted that this price hike would have a negative impact on the country’s production, especially on industries which use a large amount of petroleum products. The minister estimated that the petrol price increase would push up the consumer price index from now to the end of the year by between 0.5 and 0.7 per cent. Nguyen Thi Mai Chi who works for a bank in Ha Noi said that "the increase will affect my five-member family’s spending but I cannot cut any expense as all of it is necessary. "I am very worried because both my husband and brother work far from home and our petrol costs will be much higher now."